Electrical Transformer, Switch Gear, Generator, Motor, Control Panel, etc. 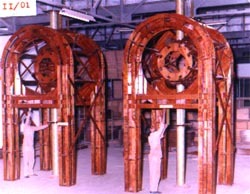 Coach Buildings, Electrical Equipments, Traction Equipments, Rail Track components etc. Automobile Instrument Panel, Parcel Tray, Flooring, Under Bonnet Applications, Bumpers, etc. Match Plates & Pattern etc. Picking Sticks, etc for High Speed Automatic Looms. 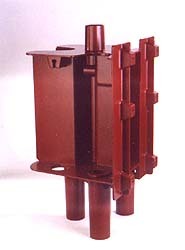 Underground Cable Covers & Casings, Joint Boxes, Telephone Booths etc. 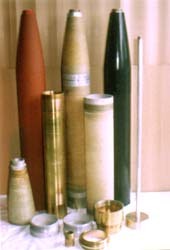 Pipelines, Tanks, Cryogenic Applications, etc. 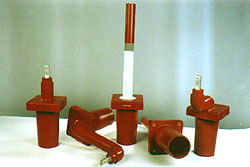 Off-shore applications, pipelines, Non-corrosive doors, Partition, etc. 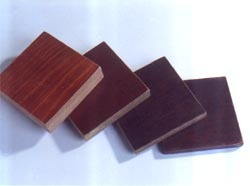 Vacuum impregnated material based on wood veneers and phenolic resin. Components like Arc Control Pot, Tension Plates, Lifting Bar, Fish Plates, Stud Nuts,pipe support having application in oil Circuit Breakers, Tap Changers, Turbo Generators,Transformers, & Railways,cryogenic pipe lines. Partially impregnated wood veneer and synthetic resin based compreg material. 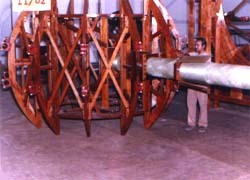 Components like coil clamping Rings, coil support Platform, etc having application in Transformers upto 400Kv .Top. Resin Impregnated hard wearing chequered densified wood based insulated flooring material. 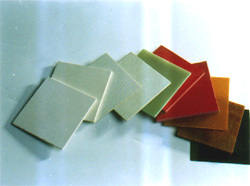 Components like insulated flooring sheets having application in power stations. 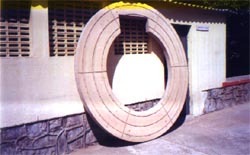 Densified Wood Material for Engineering purposes. 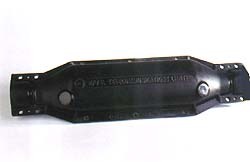 Components like match Plates, Patterns, Jig fixtures having application in Foundries and for Neutron Shielding application. 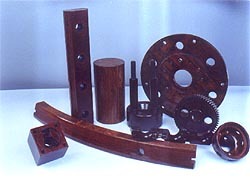 Polyester, Phenolic, Melamine, silicone, polyimide and other modified resin systems. Prepregs, semiconducting materials and cotton fabric based laminates. 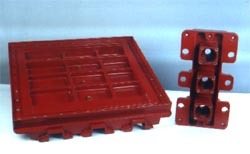 Components like Mounting Panel, Operating Rod, Base Plate, Studs, Nuts having application in circuit Breakers, Rectifiers, Generators, Motors, etc. 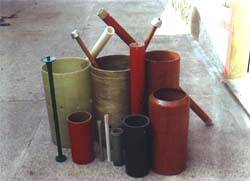 Glass Fiber/ Filament Wound & vacuum moulded tubes with epoxy polyester, phenolic and other modified resin systems. Components like EDF Tube, Resistor Tube, Arc chamber tube having application in MOCB’S & SF breakers upto 400 KV. Sheet Moulding Compound (SMC), Dough Moulding Compound (DMC) and compression moulding thereof, as well as resin transfer moulding. 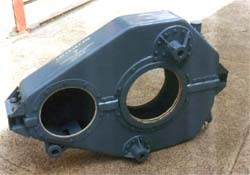 Components like switch segments OLTC, Gear Case Parcel tray having application in Switchgear locomotives, Automobiles & Defence . 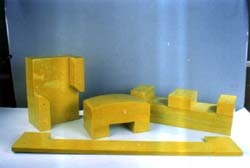 Epoxy Resin Casting using vacuum pressure gellation process. 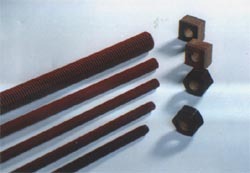 Components like Bushings, Insulator, Tank top moulding having application in Switchgears and Transformers. Construction of permali Sandwitched with glass fibre surfaces for added mechanical strength and excellent anti tracking surface properties. Standwitched construction of Permawood with glass fibre surfaces for higher mechanical and electrical properties. 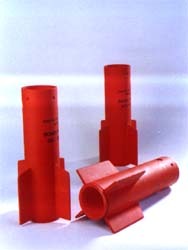 Based on glass fibre, nomex, high silica, carbon fibre, etc for electrical and defence applications.